California Producer of Elouan Cancels Oregon Grape Contracts Grape contracts with growers in southern Oregon’s Rogue Value worth $4 million were canceled September 22 by Copper Cane Wines & Provisions in Napa. The reason is purported smoke taint but the growers feel the claim is “bogus.” The Oregon Wine Industry Solidarity Mission was formed immediately by Willamette Valley Vineyards project managers Jan and Jim Berrnau to help stranded winegrowers pick grapes left hanging. 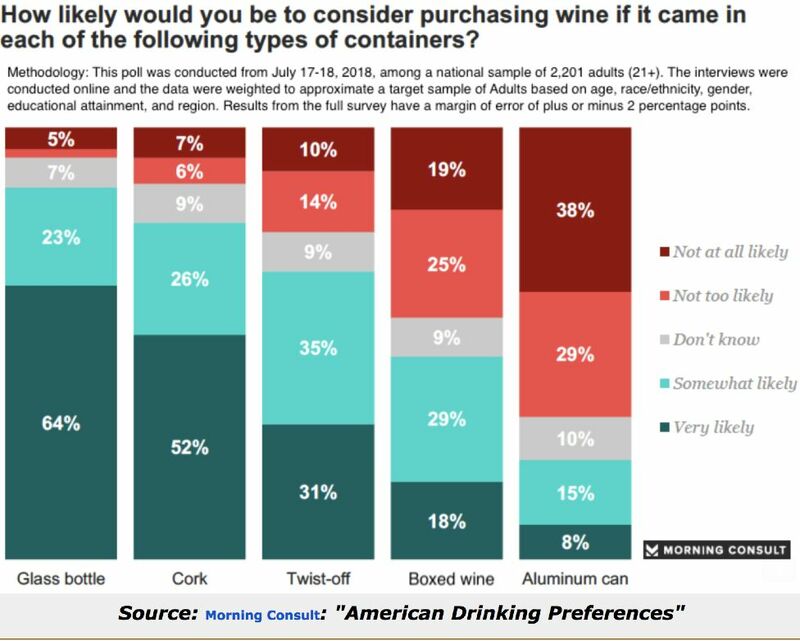 Lab analyses have shown that a majority of the crop is well below the threshold for the finished wines to be adversely affected. Copper Cane is already in the midst of a controversy over appellation mislabeling for Oregon wines. 2018 Vintage in Sonoma County Superb Not only is the vintage providing ideal ripeness and acidity and maturity of flavor at lower sugars, yields are generally 15-20% higher than average for Sonoma County. The region has had ideal conditions from the start of the growing season including a cooler summer. Hang time has been estended and there has been no push to harvest. 20th Annual Wine & Food AffairWine Road, an association of 200 wineries and 54 lodgings in Northern Sonoma County has three annual events scheduled for the 2018-2019 event season. The season kicks off with the 20th Annual Wine & Food Affair, November 3-4, 2018, featuring two days of food and wine pairings along the Wine Road. Each participating winery will offer gourmet cuisine prepared by local chefs paired with their wines. Winter WINEland will be held January 19-20 and the 42nd Barrel Tasting Weekends will be March 1-3 and 8-10. 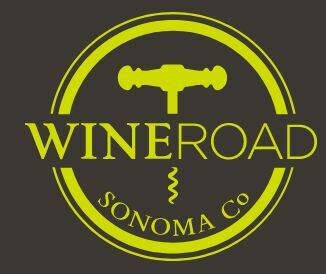 For more information and tickets, visit www.wineroad.com. Margerum Wine Company and Wine Cask Part Ways Long-time co-operators of the Wine Cask in Santa Barbara Doug Margerum and Mitchell Sjerven have departed from the iconic restaurant. No immediate changes in restaurant operations are planned. Margerum is opening a new Tasting Room in the Hotel California early in 2019. The Reserve Tasting Room at 32 El Paseo will continue to pour both Margerum and Barden wines until the new tasting room is complete. After that, the Reserve Room in El Paseo will pour exclusively Barden wines. Visit www.margerumwines.com. Failla Releases 2016 Oregon Wines Ehren Jordan is now crafting wines from both Oregon and Northern California with tasting rooms in both Salem, Oregon and St. Helena, California. He noted on a recent release announcement email that he is often asked, “What is the difference between Oregon and California wines?” His response was “Easy. Everything.” Ehren went on to say, “Soil, climate, average rainfall, clonal material, degree days and historic geographic events are just some of the differences that I can think of off the top of my head. They couldn’t be more different.” The northern expansion of Failla is the result of a quest started twenty years ago to find outstanding vineyards in excellent places. 2016 was the first vintage for Failla making Oregon wines in Oregon at Carlton Winemakers Studio. The 2016 wines include a Riesling, Grüner Veltliner and Gamay along with the Bjornson Vineyard Pinot Noir and Seven Springs Vineyard Pinot Noir. The wines are sold through a mailing list at www.faillawines.com. “Harvest on the Coast” in SLO Coast Wine Country SLO Coast Wine Country hosts its signature harvest season event on Saturday, November 3, where a Grand Tasting and Wine Auction will be held in an outdoor tent pavilion at Avila Beach Resort, and on Sunday, November 4, with Surf’s Up Sunday where wineries throughout the region host a day of open houses. For more information, visit www.slowine.com. Burgundy Vintages-A History from 1845 Allen Meadows and fellow Burgundy lover Douglas Barzelay are releasing the hardcover version of this book initially to subscribers of the Burghound.com. The limited first printing of the book is in pre-sale and the exact date of availability to all consumers is not known. An E-book version will be available in 2019. In the 600-page book, each vintage from 1845 is rated and discussed in depth. This scholarly book is full of insights on the cultural, economic and technological developments that have made Burgundies among the most sought-after wines in the world. The link for more information and sample pages: www.burghoundbooks.com/burgundy-vintages/. SOMM 3 Premiered in Napa at Clos Du Val The third film in the SOMM series is devoted primarily to the 1976 Judgment of Paris and will be released later this year in digital platforms. It features many of the former cast members but adds Steven Spurrier, master sommelier Fred Dame and wine critic Jancis Robinson. The film is narrated by Madeline Puckette, creator of Wine Folly. 2018 Sonoma County Harvest Fair Wine Competition This competition involves only wines made with grapes grown in Sonoma County and have a Sonoma County designated AVA as the only region listed on the bottle. Judging was held September 18-20. Competing Pinot Noir wines are classified by the following price categories: up to $29.99, $30.00-39.99, $40.00-$49.99, $50.00-$59.99, and $60 and over. Most of the premium Sonoma County Pinot Noir and Chardonnay producers reviewed in the PinotFile are not entered. 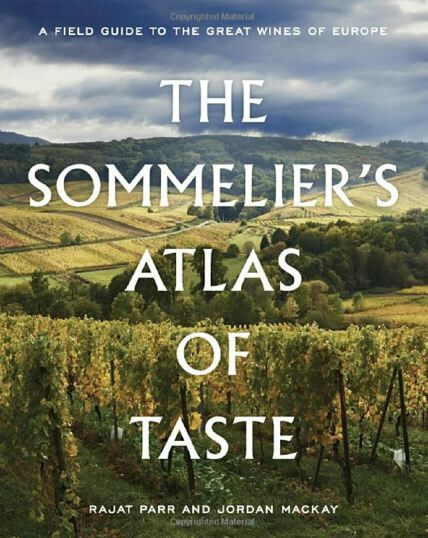 The Sommelier’s Atlas of Taste: A Field Guide to the Great Wines of Europe Authors Rajat Parr and Jordan Mackay focus on the subject of blind tasting and the nuances evident in wines from various subregions and appellations of Europe. Release date is October 23, 2018, $25.47 on Amazon.